Phoenix, Ariz.—AZ Schools Now—a coalition of dedicated parents, teachers, businesses, school board members, faith-based leaders, and children’s advocates—stands firm in its call for the legislature to appropriate a four-percent teacher pay raise in FY18. 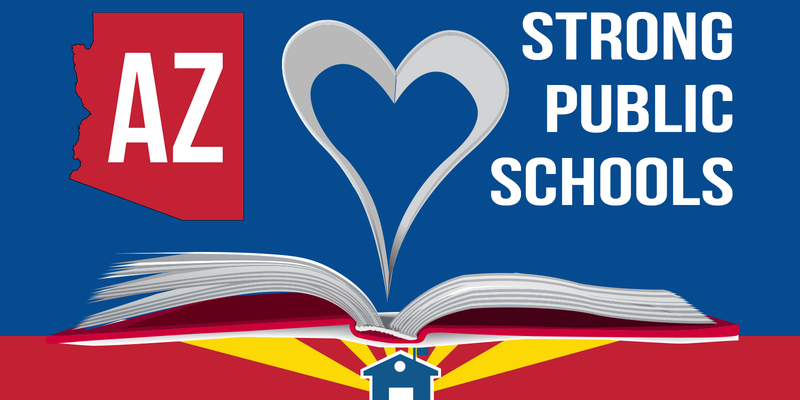 In January, AZ Schools Now delivered a letter to Governor Ducey and the state legislature that outlined a plan to raise teacher pay within the current budget constraints. Detailed reports from the Arizona School Personnel Administrators Association and the Morrison Institute have shed light on the teacher shortage that has left thousands of classrooms and tens of thousands of students without a fully qualified permanent teacher. Arizona’s elementary school teachers have seen an 11% decline in pay, making them the lowest paid in the nation. And with nearly half of all teachers leaving the profession within three years, it would be fiscally and morally reckless to simply ignore this crisis. In a budget proposal that currently includes new tax cuts for corporations, growing subsidies for private schools, and $36 million in “bonus” funding to schools that are already excelling, it is clear there is room for investments in teacher raises. We urge Arizona legislators to vote No on any budget proposal with a teacher raise less than four-percent.